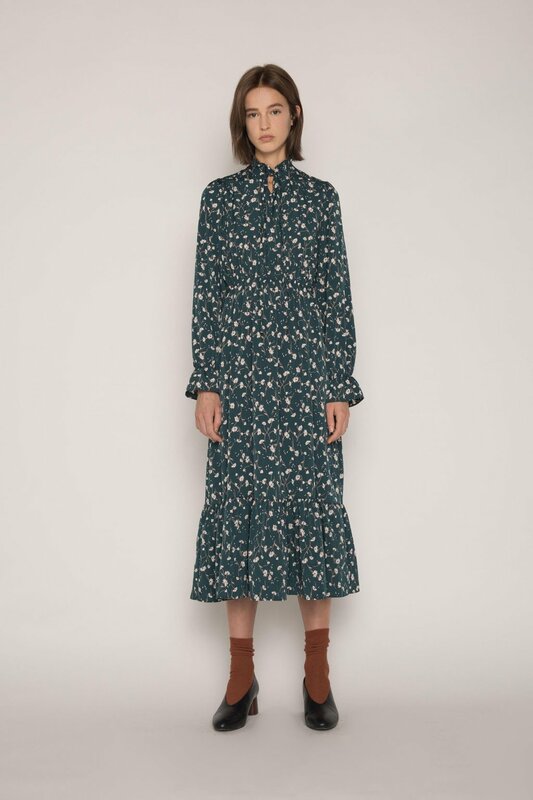 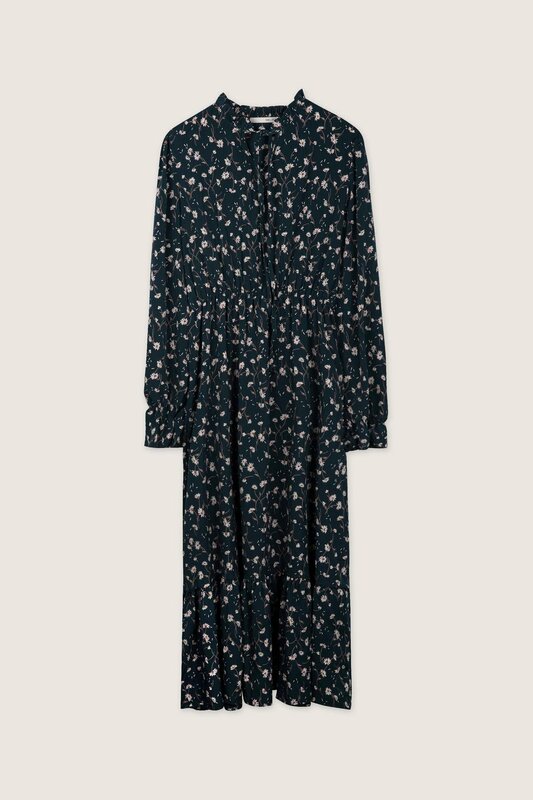 This vintage inspired midi dress features a peasant blouse collar, elasticated waist and cuffs and a subtle ruffled hem. 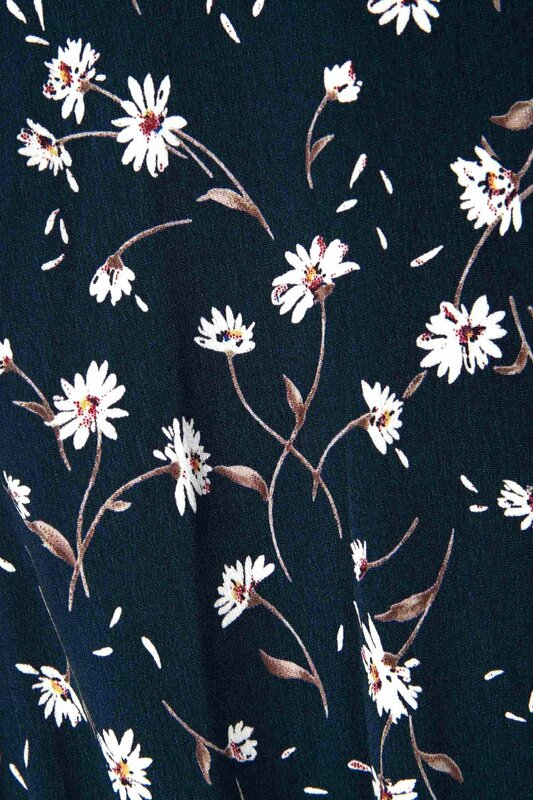 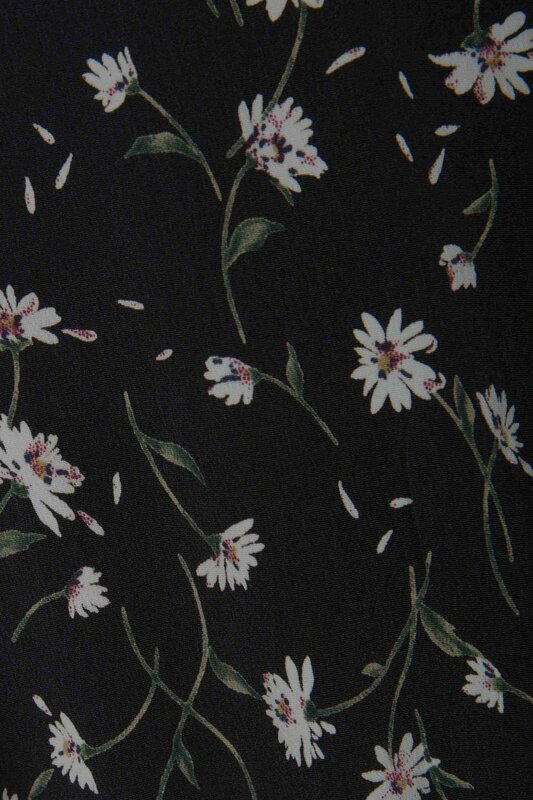 With a beautiful daisy floral print, this romantic dress is perfect for all occasions. 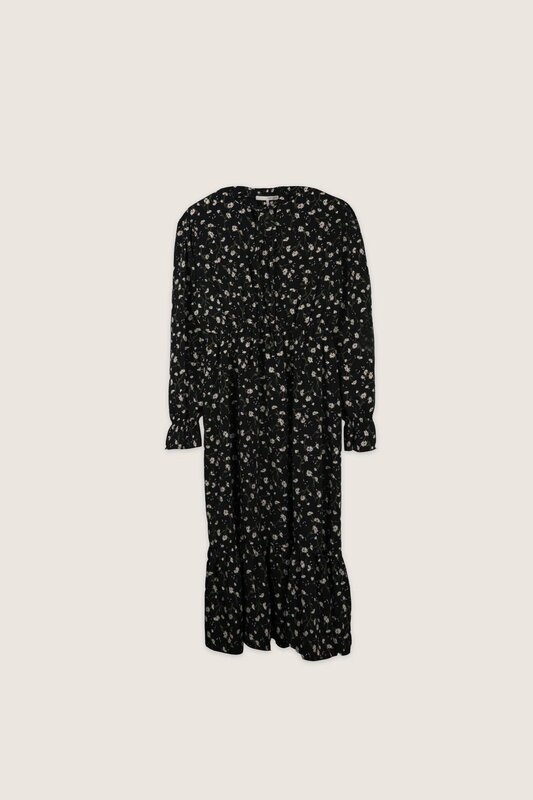 Balance out this dress with a biker jacket and ankle boots for a feminine yet edgy look.